THE MINISTER FOR Transport has ruled out the possibility of new tolls being placed on Irish roads, ending speculation that the government may introduce such measures. In an interview with the Irish Daily Mail today, Varadkar has ruled out the possibility of introducing tolls at the Jack Lynch Tunnel in Cork as well as other road such as the M1 at Dundalk, the N11 at Arklow and additional tolls along the M50 in Dublin. Last July the National Roads Authority said it was seeking advice on levying new tolls in order to raise much needed revenue. But Varadkar explained on RTÉ’s Morning Ireland this morning that “a combination of cost and common sense” meant he was now ruling this out. “The benefits are much less than the costs and I am no longer considering the proposal,” he said. 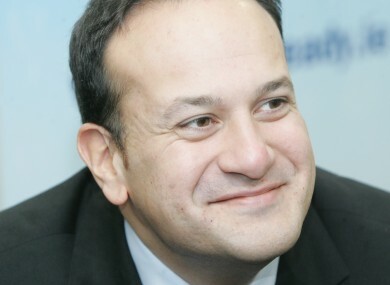 Varadkar said that with the rising cost of petrol and diesel he did not wish to hit motorists any more than they are already being affected by the rising costs of running a car. “In the longer term the reality is that fuel prices are going to rise so I don’t particularly want to hit people with extra tolls as well,” he added. Varadkar also said that current tolls would go up in line with inflation and down with deflation in the coming years. The NRA confirmed last November that toll levies would rise with inflation with some toll fares going up 10 cent this year. Email “Varadkar says no new tolls on Irish roads ”. Feedback on “Varadkar says no new tolls on Irish roads ”.